In keeping with the relaxed spirit of the soon-to-be-here summer season, today’s post is short. Just a couple of points to mention. Second, Mayor Bloomberg this week announced a $20 billion storm protection plan for New York City. He lays out the specifics in a 438-page report that focuses on strengthening infrastructure like the power grid and protecting the shore. Third, it’s interesting to note that New York City’s plan covers 520 miles of coastline. 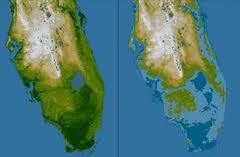 Florida’s coastline is 1,197 miles. I’d love to see a storm protection plan for Florida. Speaking of which, next week in Fort Lauderdale, the Association of Climate Change Officers is hosting the 2013 Rising Seas Summit. The Summit invites people from government, business, academia and the NGO sector to meet to “understand, anticipate and adapt to water related threats”, which are pretty much a sure thing in light of the first point above. So if you’re headed to the beach this summer, enjoy! But think about what needs to be done to ensure those beaches are around for the next generation.